Home Myphone Phones & Tablets Tech News MyPhone Rain 2G price droped! 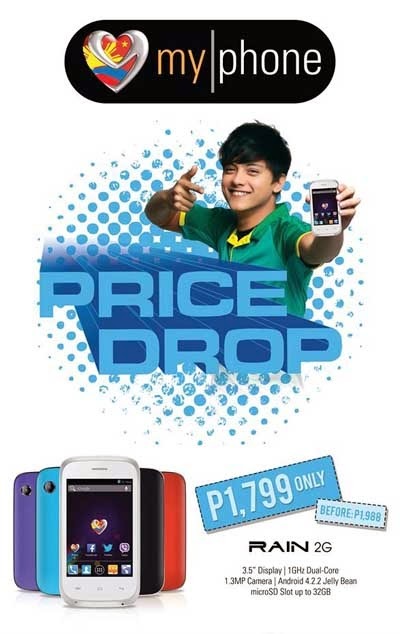 MyPhone Rain 2G price droped! A budget friendly MyPhone 2G goes more affordable! MyPhone announced that they sell the Rain 2G for only Php1,799 from it's original price Php1,999, consumer can discount 200 pesos. This is a smartphone that a has dual-core CPU with the android Jelly Bean OS. Dong Nguyen created "Swing Copters"